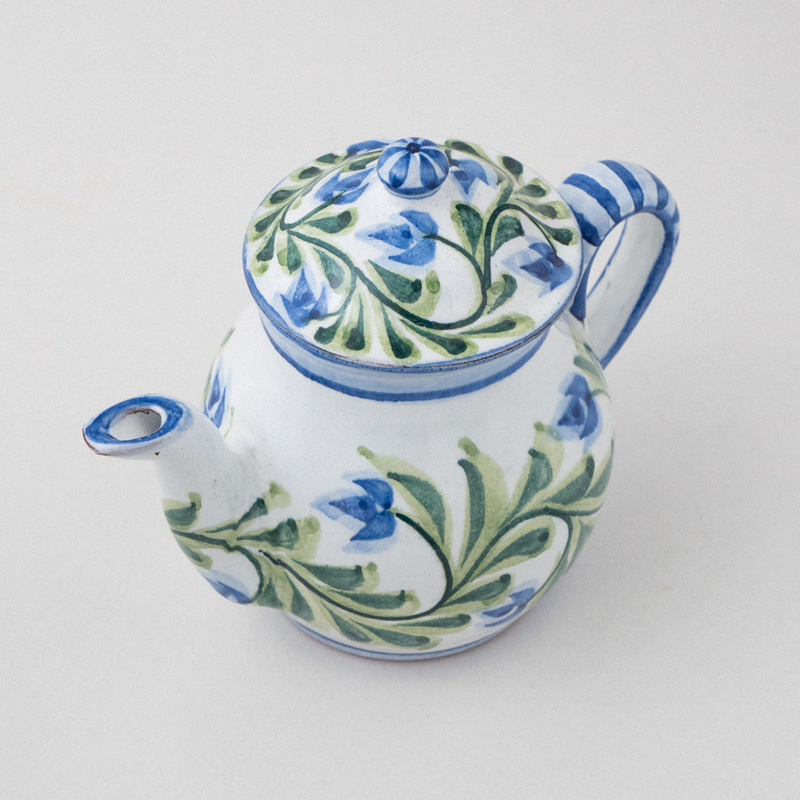 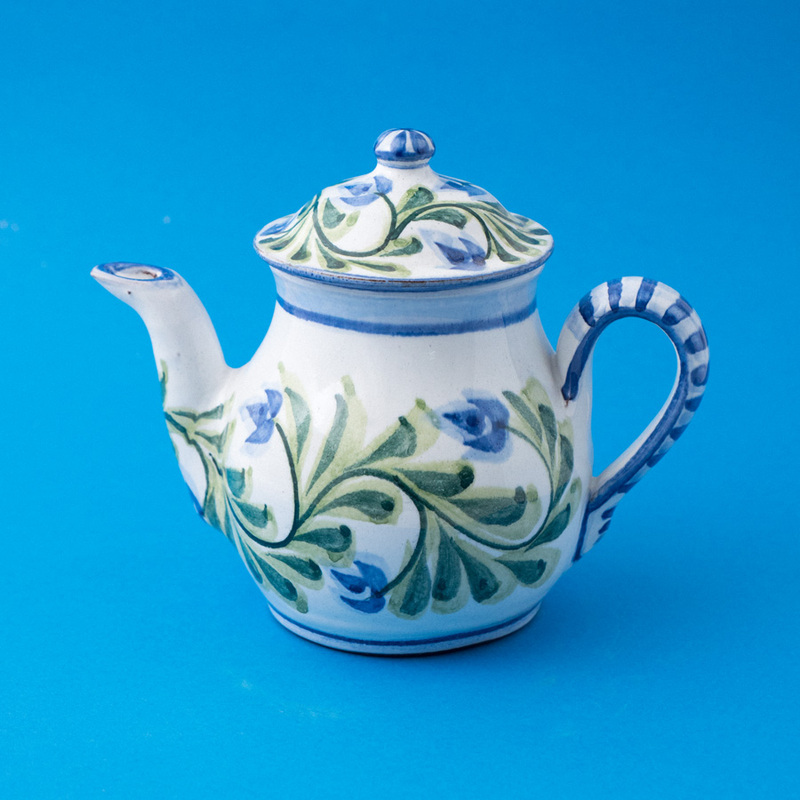 This mid-sized teapot is hand painted with blue Queen's Earring flowers and green leaves by Maria Eulália Sobral. 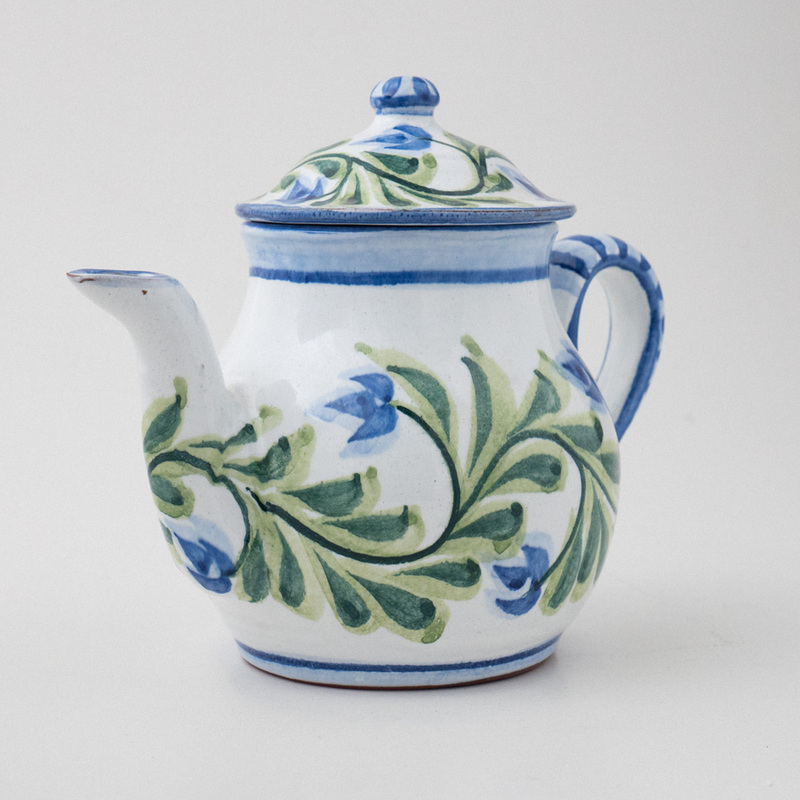 The teapot is a tear drop shape with a pulled handle and a hand formed spout. 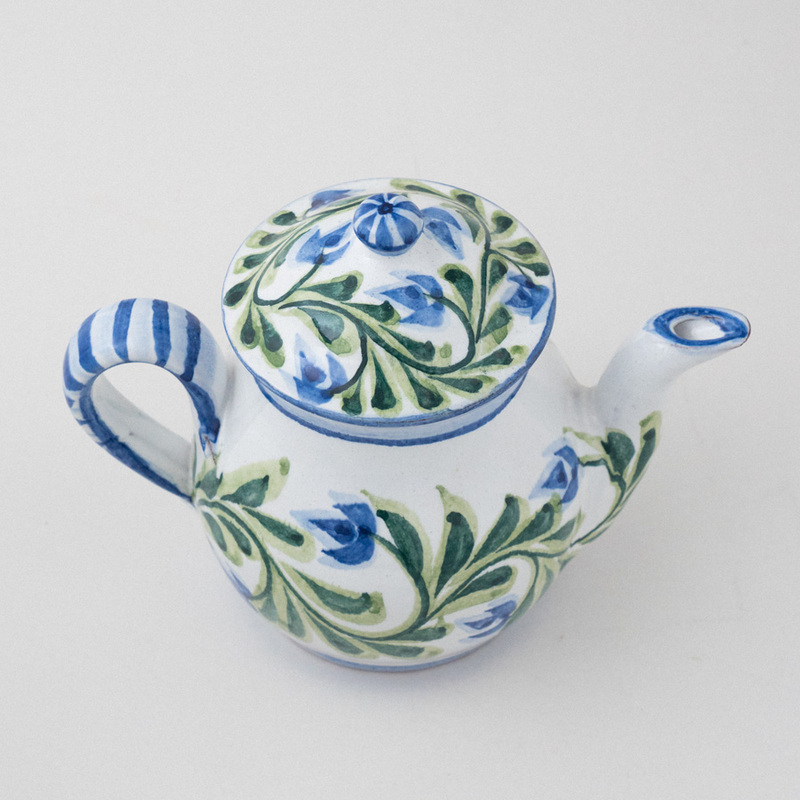 This is the same design as you will fins in the Queen's Earring collection here on our website, but the colours are in-keeping with the Lily Flower collection. 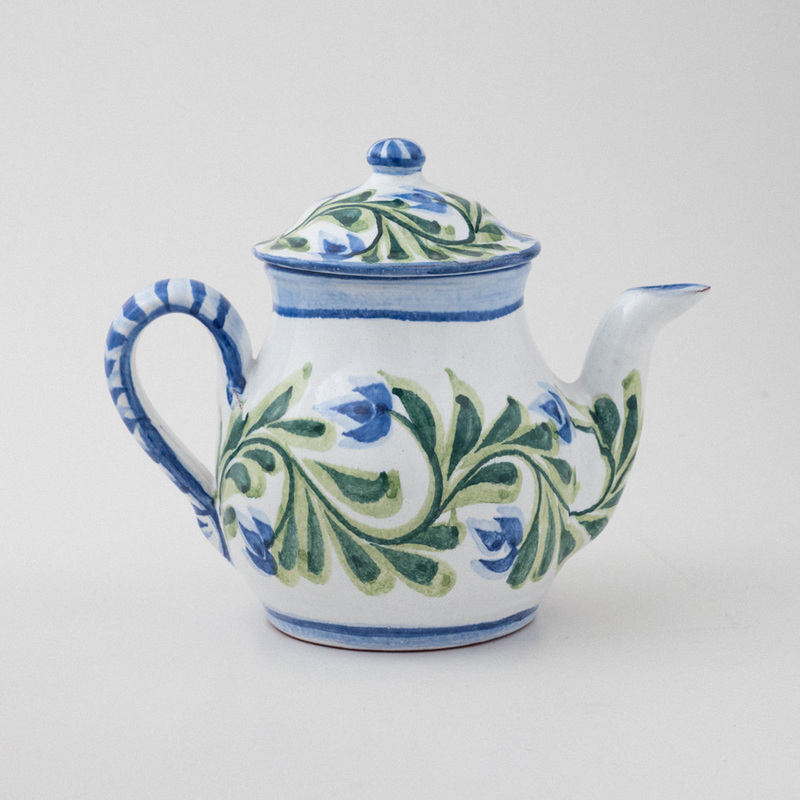 Approximate dimensions; height: 17cm, diameter: 12cm.